The two wheel footprint of Step-Thru enables movement over a wide range of operating surfaces including sealed and unsealed surfaces and slopes. Step-Thru requires space for the operator to move to the left or right of the unit in order to steer it and is not suitable for use in confined spaces. Height of doorways and overhead structures where applicable. 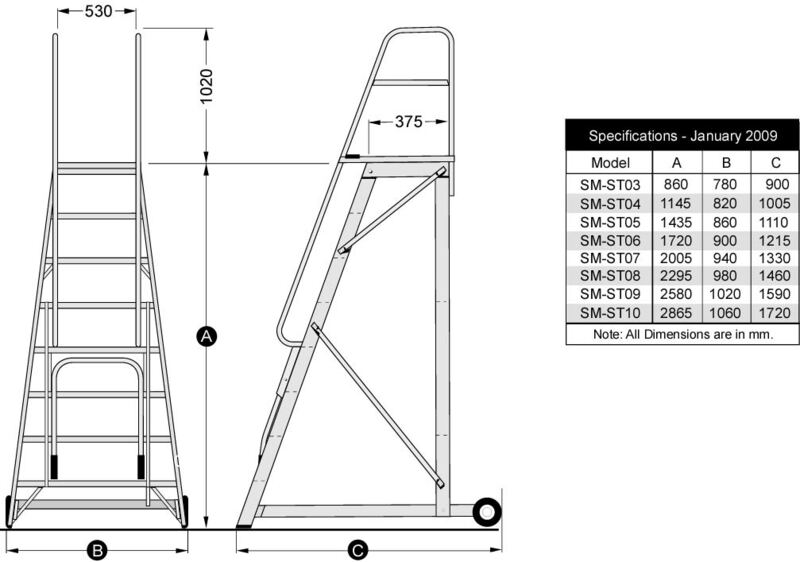 Step-Thru is ideal for this application as it is able to operate over a wide range of Operating Surfaces and the degree of manoeuvrability is not usually a critical factor. 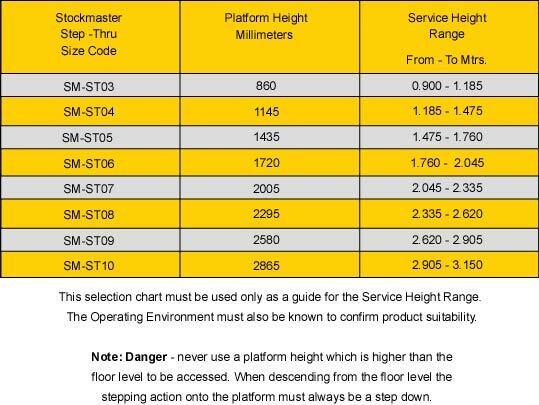 Note: Stockmaster Step-Thru is designed for access only and is not to be used as a work platform.